OSWEGO, NY – Pathfinder Bank SBS veteran Greg O’Connor intends to field two full-time entries in Oswego Speedway’s Small Block Supermodified ranks in 2019 while also piloting the Lakeside Property Services No. 72 350 Super on select occasions. A series regular for the past six seasons, O’Connor was a Small Block Super rookie of the year contender in 2013. The Oswego, NY driver slowly worked his way up to speed in his first two seasons of action before finally securing his first top ten finish in the 2015 season. O’Connor improved immensely in 2016, running towards the front of the field on several occasions, but more often than not ran into bad luck when in contention for solid results. After four long seasons of trying times for the No. 90 team, the tables finally turned for O’Connor in 2017 as he drove to what was by far the most successful season of his career. The 2017 ‘Road to the Championship’ secured O’Connor six top five finishes including his first feature win plus eight top ten efforts good enough to allow for a ninth place run in the point standings. O’Connor’s consistency in 2017 deservingly brought him the ‘Most Improved’ Driver Award at season’s end, and he was able to carry that new found momentum into the 2018 season with two more top five finishes and four top tens plus the second feature win of his career. With wins in back to back seasons, O’Connor is looking forward to making a full-time return to the Small Block Super division in 2019 with sights set on the series championship, as well as a victory in the 28th annual Bud Light Classic 75. In addition to bringing the No. 90 machine back to the track on a weekly basis, O’Connor will also field the No. 89 Small Block Super in what should be full-time campaign for 2017 Pathfinder Bank SBS Rookie of the Year Tony Pisa. As if fielding two Small Block Supers won’t keep him busy enough, O’Connor has also been tabbed to drive one of the two Lakeside Property Services Racing 350 Supermodifieds owned by Craig Super. Pisa, whose hope is to run the full season depending on securing funds, is anxious to try to put some respectable finishes together after missing most of the 2018 season and battling engine troubles in the few times the car did make it to the race track. O’Connor, who admittedly wasn’t a huge fan of the new crate engine rule, still elected to support the Oswego Speedway in 2019. “What else am I going to do? I’m a racer and I want to race,” he said. The car owner/driver made certain to thank his crew of Brian Dana, Chris Miller, Tony Pisa, Dennis Munski, Dennis Rupert, David O’Connor and his father Andy for their hard work and dedication. “I also can’t forget to thank my wonderful girlfriend Crystal who puts up with me doing this, and my mother and Auntie Beth for keeping us fed and the cooler full week in and week out,” he continued. G.O. 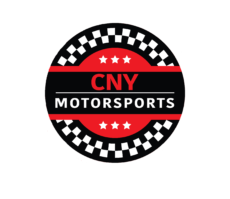 Motorsports has several sponsors and partners that have signed on throughout O’Connor’s career that include Munski Automotive, Rupert’s Party Rentals, PFG Design, The Sting Tavern, Lakeside Property Services, Lindsey Aggregates, Bodified, and the Oswego Bagel Shop. To follow O’Connor, Pisa, and G.O. Motosrports throughout the offseason, fans can keep up with the team on social media at Facebook.com/GOMotorsports. Oswego Speedway’s 69th season of racing gets underway on Saturday, May 25 with Jim Shampine Memorial Twin 50 features for the Novelis Supermodifieds plus full programs for the Pathfinder Bank Small Block Supers and the 350 Supermodifieds.